There is a connection between what you eat and your mental health. Evidence is building that eating plans like the Mediterranean diet may help decrease the symptoms of depression when added to someone’s current treatment — and it may be part of a growing trend toward embracing food as a component of medicine. In addition to curbing the symptoms of depression, colorful and diverse diets rich in vegetables, fish, and olive oil may also be preventive, since people who eat this way tend to have a lower risk of developing the disease in the first place. The benefits of these diets aren’t limited to people with mental illness, however; vegetable- and fish-based eating plans also appear to be helpful for losing weight, protecting the mind, and reducing the risk of other serious conditions like heart disease, diabetes, Alzheimer’s, and even some forms of cancer. Swapping a cereal bar out and replacing it with a handful of nuts and frozen berries doesn’t sound like a huge dietary leap — but look closely, and you’ll find that it is. On the ingredient panel on the back of the average snack bar are items like flour, high fructose corn syrup, and sugar — heavily processed ingredients that don’t fill us up and leave us craving more food. Study after study has found evidence that diets high in processed ingredients aren’t just bad for our waistlines, but may also contribute to depression and other diseases like diabetes, some forms of cancer, and heart disease. Eliminating them appears to alleviate some symptoms of depression, help us lose weight, and slash our disease risk. For a study published last year in the journal BMC Medicine, Chatterton and her colleagues took a group of depressed people who’d been eating a traditional processed-food diet and placed half of them on a Mediterranean-style eating plan. That group ate lots of fresh or frozen fruits and vegetables, grilled or baked fish, nuts, olive oil, and whole grains. After three months, the depressive symptoms in the Mediterranean group plummeted. The people who didn’t change their diets saw no change. Importantly, most of Chatterton’s study participants were also treating their depression with an evidence-based approach like antidepressant medications or talk therapy, meaning that the dietary changes served as an additional tool. Last summer, a group of Chinese scientists who compared this style of eating plan against a traditional “Western diet” of processed meats and refined-grain products like white bread came to similar conclusions. 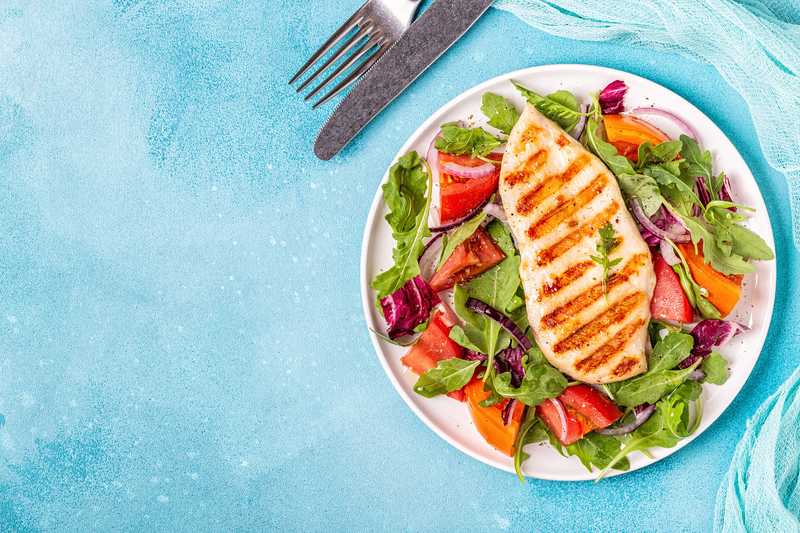 After analyzing evidence from 21 studies done in 10 countries, the researchers concluded that people with healthier diets were significantly less likely to have depression than those on the typical processed-food plan. A Mediterranean-style plan called the MIND diet is catching researchers’ eyes for its potential to benefit people who’ve survived a stroke. Just like the Mediterranean diet, the MIND diet emphasizes vegetables, seafood, olive oil, and wine. It puts added focus on green leafy veggies, berries, beans, whole grains, and poultry. Adherents to both plans limit or eliminate processed foods, pastries, sweets, anything fried, red meat, cheese, butter, and margarine. In people who’ve survived a stroke — a severe episode that doubles the risk of developing dementia — the MIND diet may help slow cognitive decline, one recent study suggested. That finding builds on research published last summer and jibes with a series of six additional studies highlighted in the most recent issue of the Journal of Gerontology. The overall conclusion: Mediterranean-style diets were linked with beneficial mental outcomes like better performance on cognitive tests. “These findings lend support to the hypothesis that diet modification may be an important public health strategy,” Claire McEvoy, the lead author of the recent paper and a nutritional epidemiologist at the University of California San Francisco, wrote in the paper. Researchers can’t yet say for sure why eating like a Mediterranean appears to be so beneficial for your brain. But they have some clues, most of which have to do with three key components of the diet: healthy fat, protein, and fiber. The fiber-rich green vegetables and berries emphasized in the MIND diet have been shown to help protect against progressive loss of the structure or function of brain cells. This loss, known as neurodegeneration, is a key characteristic of diseases like Parkinson’s and Alzheimer’s. In order to keep your energy levels up and help you feel healthy in the long term, your diet needs to feed more than your stomach. It has to satiate your muscles, which crave protein; your digestive system, which runs best with fiber; and your tissues and bones, which work optimally when they’re getting vitamins from food.